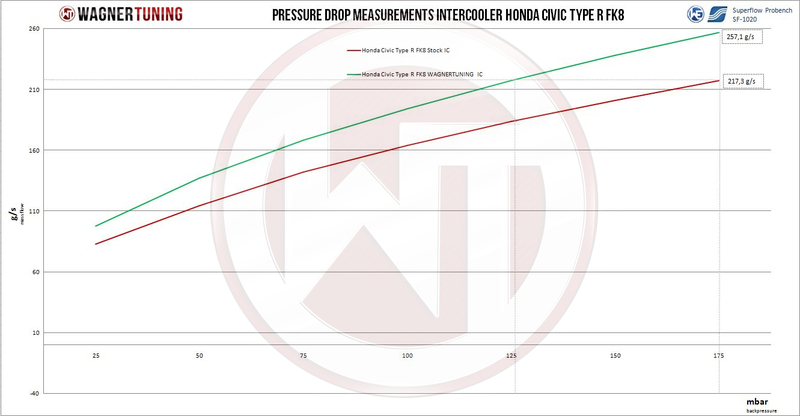 The WAGNERTUNING high-performance intercooler has got a new competition core (Tube Fin) with the dimensions 670 mm x 183,4 mm x 125 mm (15.4 liters)/ 26,38Inch x 7,22Inch x 4,92Inch (939,76Inch³), which was developed especially for the requirements of the Honda Civic Type R FK8. 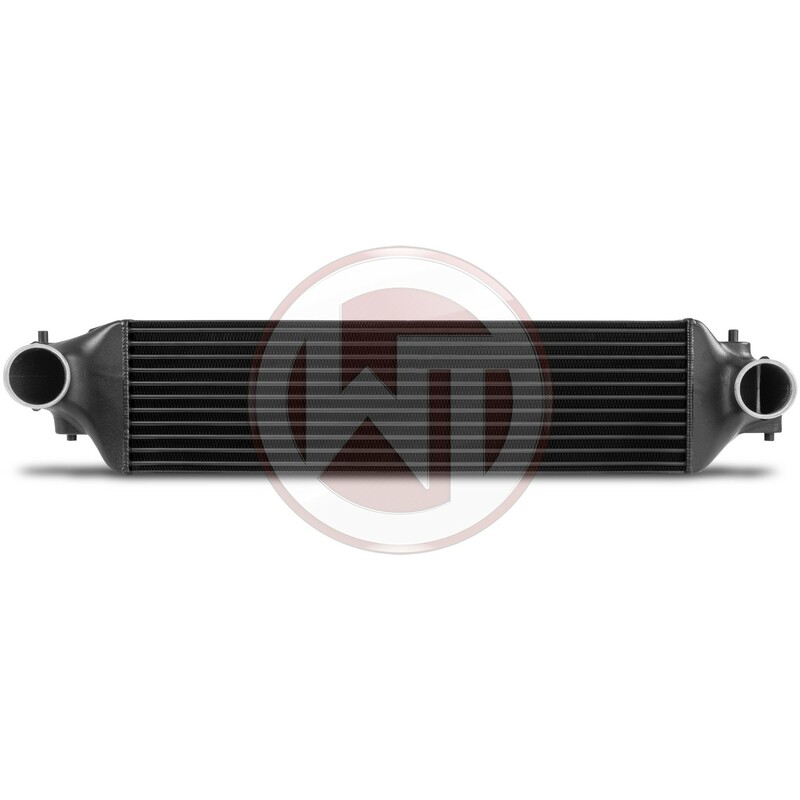 This high-performance core offers an 23 % larger frontal surface and 140 % more core volume compared to the stock intercooler. The aluminum cast endtanks were designed in CAD and optimized in CFD simulations (for an ideal internal airflow). 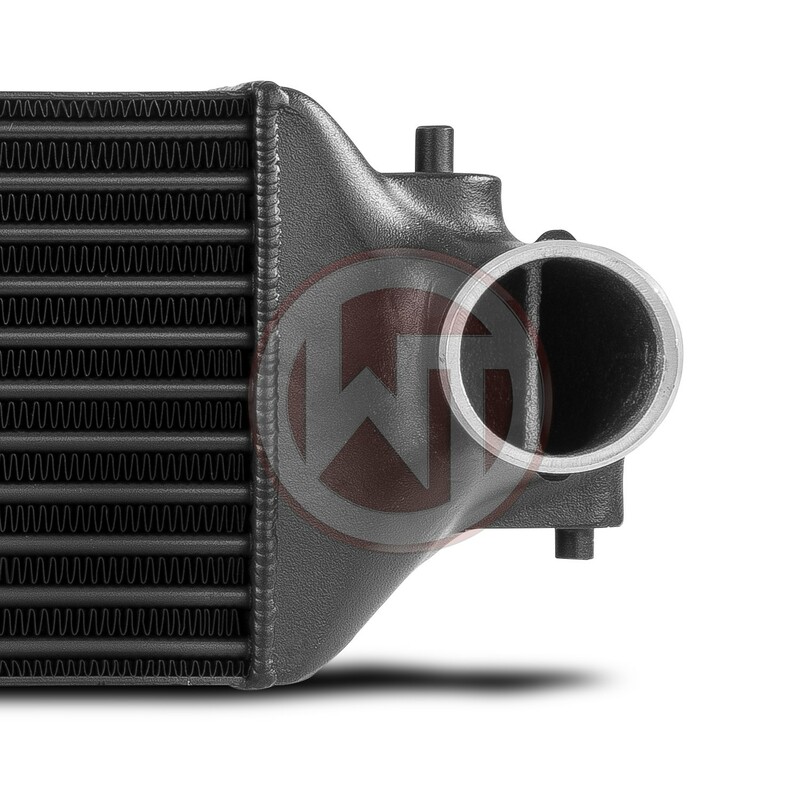 An incorporated air baffle inside the intercooler inlet ensure a uniform filling of the intercooler. 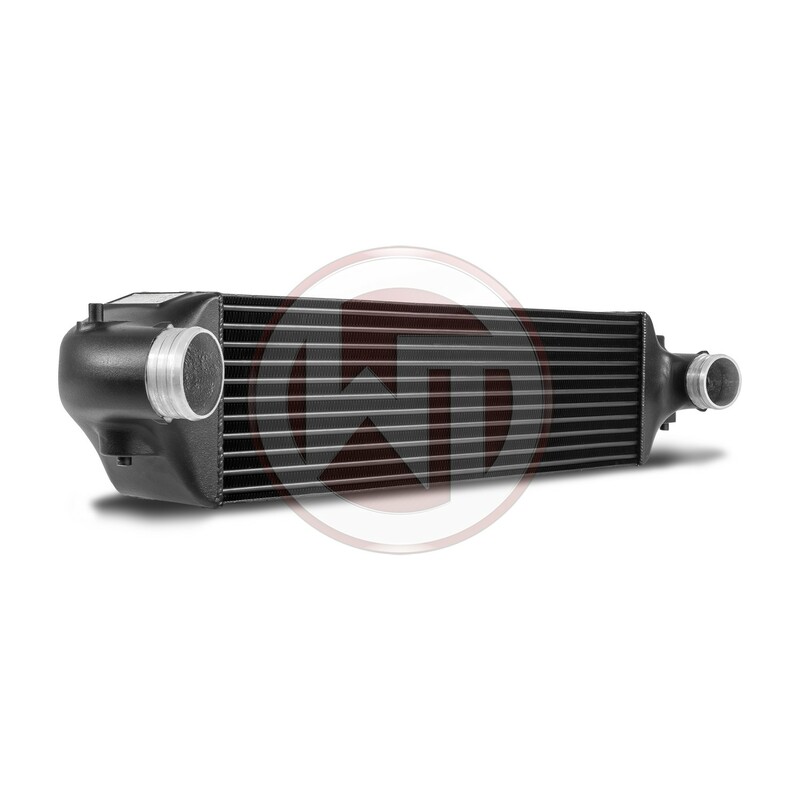 The result is a excellent cooling property with a minimal back pressure. The newly developed competition high-performance core is very light and provides the adjoining components (for example the watercooler) enough air flow by using a specially prepared air baffle. That`s why this kit is perfect for racing use. 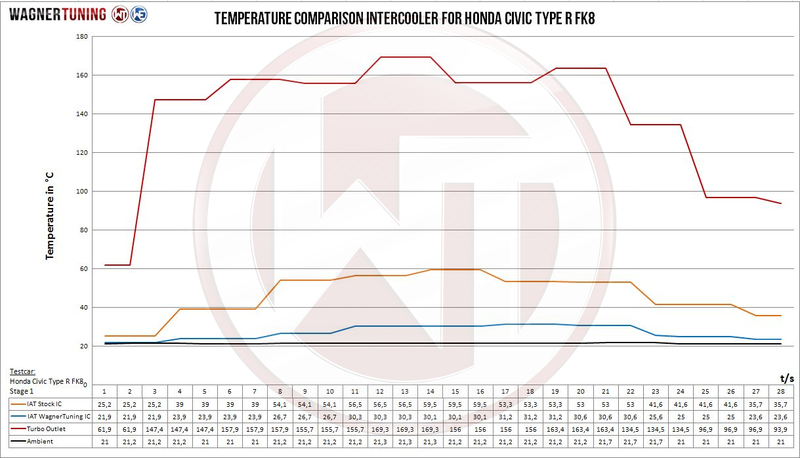 An optimal cooling effect of the charged air with a significant increase in performance! 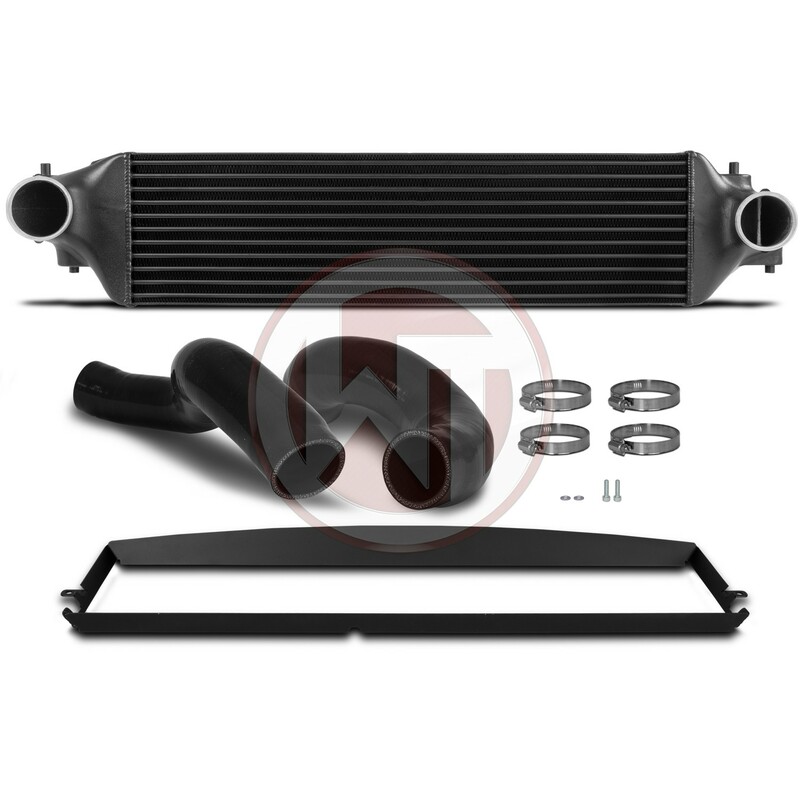 The WAGNERTUNING high-performance intercooler has got a new competition core (Tube Fin) with the dimensions 670Â mmÂ xÂ 183,4Â mmÂ xÂ 125Â mmÂ (15.4Â liters)/ 26,38Inch x 7,22Inch x 4,92Inch (939,76InchÂ³), which was developed especially for the requirements of the Honda Civic Type R FK8. 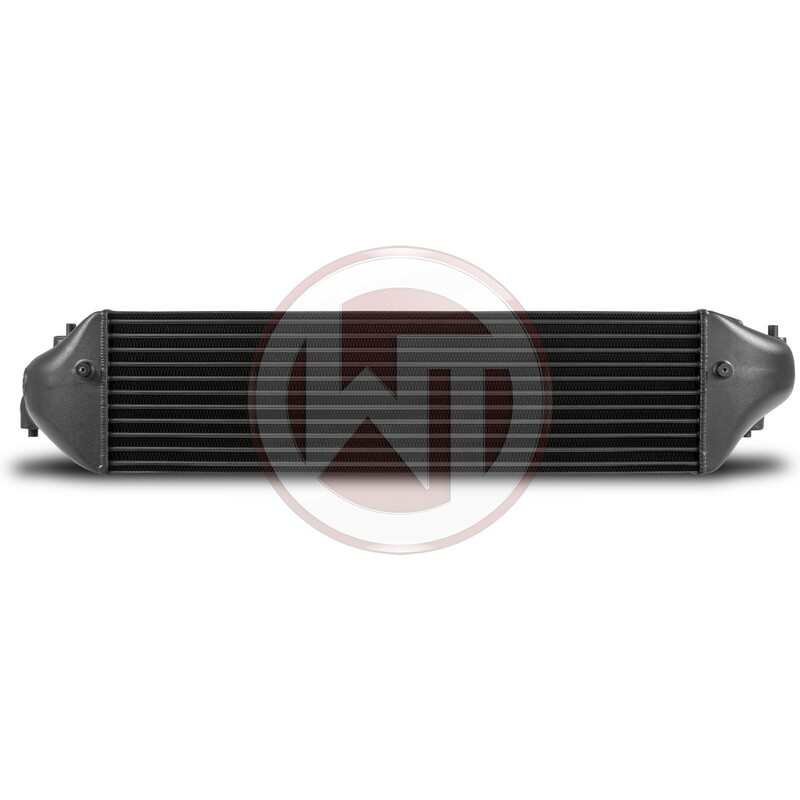 This high-performance core offers an 23Â % larger frontal surface and 140Â % more core volume compared to the stock intercooler.